Cow and The Moon joined our Mission to help provide access to “Clean Water for All by 2030”. This Mission was initiated by the United Nations. A big thank you to Cow and The Moon’s team and customers for joining this extremely important mission on 20 January 2018. 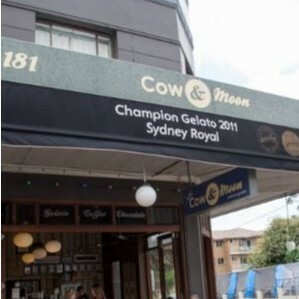 Cow and the Moon artisan gelato bar is a little piece of deliciousness nestled in the heart of Enmore. The passionate crew at Cow and the Moon are all about quality gelato and tasty treats as well as fairtrade coffee made with love. We make all of our Gelato in our "Gelato Lab" in our shop and use only the freshest of ingredients such as milk, fruit and cream as well as the best selected Italian gelato products. Come and visit us, say hi and step into our world of constant temptation .